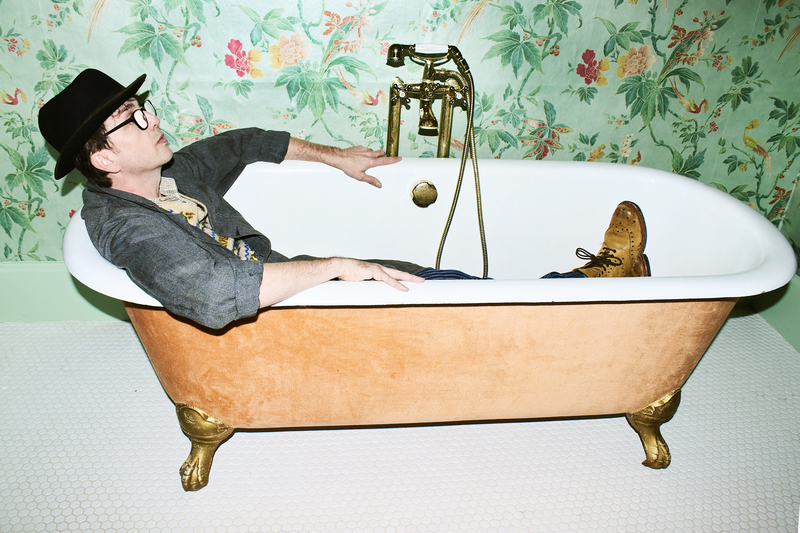 Drummer, songwriter and all round indie legend, Danny Goffey, is rock n roll royalty, and he is back with the brand new LP, “Schtick”. Since Supergrass split in 2010 after seventeen years and seven albums, Danny has been the archetypal rock ’n’ roll drifter. “I tried a few things, I tried cooking… I was bored,” he says. But his itchy fretboard fingers never deserted him and, whilst at a local comedy gig in 2014, he ran into an old Supergrass fan who happened to own the Distiller Studio and the associated record label. “It turned out it was this amazing state of the art studio with Frank Sinatra’s old desk in it and some amazing equipment,” Danny enthuses. “I just started doing some demos with no real reason. That was the start of Vangoffey.” The following year, the debut solo album was released to much critical acclaim.